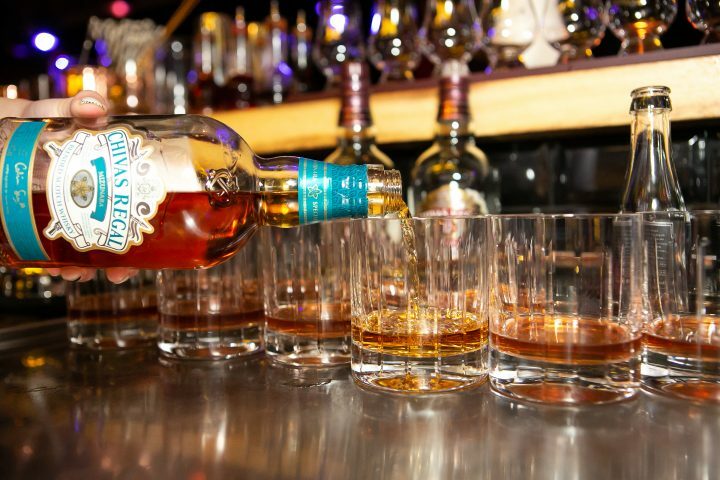 IT has often been said that the third time’s the charm, and this was certainly the case at the third and final workshop in the Gentleman’s Series, sponsored by Chivas Regal. A bartender (not pictured) pours out a measure of the Chivas Regal Mizunara. What better way to end the successful series than by touching on the art of watchmaking, specifically the work that goes into the dial. 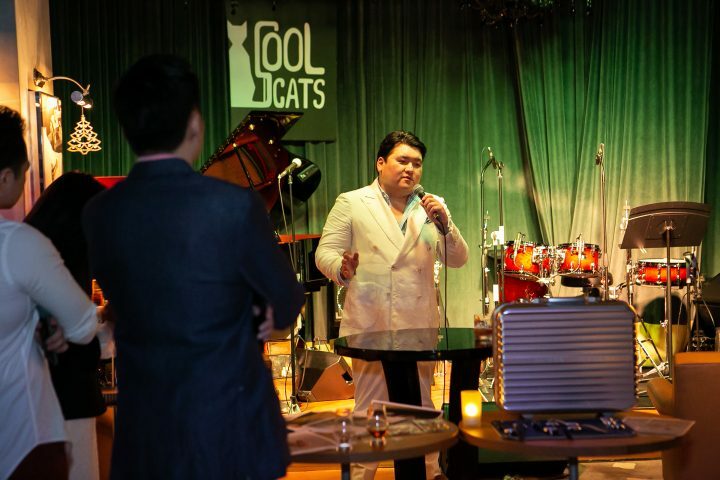 We invited the gentleman behind microbrands Maison Celadon and Millésime Watches, Benjamin Chee to the Cool Cats bar at South Beach Road to share with us his watch journey from avid collector to business owner. But, the highlights were the drawings, fabrics and watches he brought along with him, which showcased the amount of work that goes into making his famous embroidered dials and two-tone sector faces. Maison Celadon founder Benjamin Chee talks about his watchmaking journey. 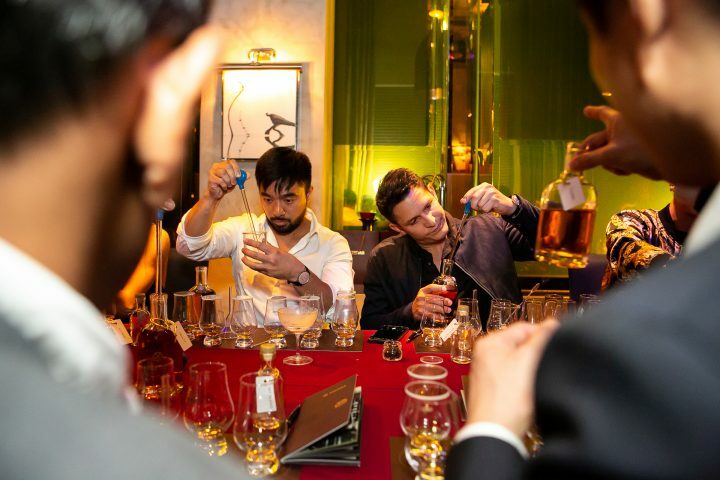 After the horological session, guests adjourned to a private room for the highlight of the evening – a whisky blending workshop led by Chivas Brand Ambassador Matthew Parry. As always, Matthew regaled the guests with the history of the Chivas Regal brand before guiding them through the art of creating the perfect blend; using four single malts and a grain whisky that represent the world renowned, exceptionally balanced flavor profile that Chivas Regal is famous for. Two gentlemen concentrating on their whisky blends. The workshop was a fitting end to the highly successful Gentleman’s Series, and one we won’t soon forget. Check out the video below for some highlights from the third workshop.